The bloodless victory is a strategic masterpiece, but to exploit it requires strategic vision and long-term wisdom. Pakistan thought that it has used its geography to its strategic advantage to swindle billions of dollars from the United States (US) to support their Global War on Terrorism (GWOT). Ironically, Pakistan forgot that the asymmetric forces that it had unleashed in Afghanistan will not only have a blowback impact, but could pose one of the biggest challenges to its own territorial integrity since 1947. While pursuing its policies to use terrorism as an instrument of its foreign policy, the Pakistan State, as an act of justification, propagated the fallacious theory that there was a movement for self- determination in Afghanistan and Jammu & Kashmir. But when the same movement turned against Pakistan in Baluchistan and in Federally Administered Tribal Areas (FATA), especially in Waziristan, Pakistan wasted no time in crying wolf and in suggesting that it is a victim of terrorism because it is in the forefront of GWOT. Pakistan has embarked on three marches of folly in the last couple of decades and sooner this nation realises the follies committed by the self-serving corrupt political and military leaders, the better it will be for the people of this unfortunate nation. The first act of folly was when Pakistan raised and used non state actors as strategic assets in Afghanistan against the Soviet Union and later against Afghanistan and India, near simultaneously. It threatened time and again that after the Afghan war, all the non-state actors will be diverted to fight a war of liberation in Jammu & Kashmir. The ISI brought clergy, radicals and military on the same platform to initiate a proxy war within India and Afghanistan and choreographed their acts of terror from safe havens within Pakistan. Today, a stage has been reached whereby this ideology of jihad has found roots in the entire Pashtun region and is now spreading to Punjab and Baluchistan. Willy-nilly, slowly but with certainty, Pakistan in its entirety is becoming a battlefield and a competing ground between state and non-state actors. The Pakistan Army was forced to act against radical jihadis holed up inside the Lal Masjid in Islamabad. The military operation inside Lal Masjid triggered a new wave of terrorism in Waziristan and Punjab. This divided Pakistani society vertically. On one side are clerics of radical Islam who have silenced the voices of moderate Islam and on other side is the state that is losing its territory from FATA to Baluchistan to radical elements. Religious intolerance has increased and hardline radicals are now trying to control the perception of the masses by misleading them into believing that a great future beckons ahead. Pakistan as a state has lost support of international community for sponsoring terrorism and now faces international isolation. The second act of folly by Pakistan is use of its military might against their own people in Baluchistan and FATA, more so in the Waziristan region. According to the South Asia Terrorism Portal (SATP), “A total of 5.3 million people in Federally Administered Tribal Areas (FATA) were displaced as a consequence of counter- terrorism operations since 2008. Of these, 4.8 million as per official records have returned, and the rest are yet to go back to their homes”. This a calamity that the Pakistan military has brought upon itself by use of full range of military power against their own citizens. In Baluchistan alone there are more than 0.6 million people who are internally displaced and the number is rising with each passing day. The offensive against the so called strategic assets turned rogue has created a sense of disaffection among the masses against the Pakistan State. Such an act of folly will create unbridgeable fault lines that could lead to greater instability within Pakistan. In other words Pakistan has opened another front from within. The third act of folly is the China- Pakistan Economic Corridor (CPEC). Pakistan has brought an economic calamity on itself by going ahead with the CPEC, believing in a dream sold by China of bringing prosperity from the North. China sold a dream of a million new jobs by 2030 through CPEC that in reality is a myth because by then Pakistan would have lost both strategic and economic sovereignty. The CPEC project is envisaged for a cost of USD 57 billion and as per Economic Times of India, Pakistan currently has around USD 5 billion worth of loans from China. Prime Minister Imran Khan has pledged that he will complete CPEC and related projects for mutual benefit of China and Pakistan. His financial advisers would have apprised him of the fact that Pakistan’s foreign reserves are down to a measly USD 9 billion and that no guarantee exists of an additional bailout by the World Bank and IMF. How then will Pakistan repay Chinese lenders and the two global financial institutions? The only option apparently available to Pakistan is to pledge the projects being constructed under the CPEC to Chinese lenders or else be forced to step back. Pakistan requires financial bailout from IMF to the tune of USD 12 billion urgently. As per Economic Times of India, Pakistan requires approximately USD 3 billion to repay the loans to World Bank, IMF and Chinese lenders. Interestingly the US has blocked Pakistan’s move to get financial bailout from IMF and at the same time cancelled USD 300 million US military aid. President Trump tweeted that, “The United States has foolishly given Pakistan more than 33 billion dollars in aid over the last 15 years, and they have given us nothing but lies & deceit, thinking of our leaders as fools. They give safe haven to the terrorists we hunt in Afghanistan, with little help. No more”. If Pakistan does not reset its future course, it will definitely be the first country in the 21st Century that may either collapse or may become a colony of China in a bloodless coup. With the current financial state and financial burden that already exists, Pakistan is set to lose economic sovereignty where IMF may want to directly monitor the utilisation of economic bailout if granted. Similarly, if the Chinese lenders are not repaid in time, they are set to take over even other projects since Gwadar is already taken over by a Chinese company. Reuters has reported that, Pakistan is set to open up mineral-rich Baluchistan to China ‘Silk Road’ firms. In fact, this is the only resource Pakistan has to repay the loans to IMF, World Bank and Chinese lenders and sustain its economy, if managed well. Where do all these historical follies take Pakistan to? Democratic Pakistan is likely to lose control over its territory to their so called strategic assets (non-state actors) and it will slip into the hands of radical Islamists. Pakistan will be economically a dysfunctional state dependent upon international doles leaving close to 200 million population at the mercy of foreign aid and radical clerics. In a nutshell, Pakistan will be an economically, diplomatically and culturally isolated nation. It is likely to be known as a dangerous and unstable nation that is paying the price for great follies by its political and military leadership. An incubator of terrorism and land of the intolerant radical population refusing to learn lessons from what is happening in West Asia. Should international financial institutions bail out Pakistan or should they allow it slip into the fold of China or Saudi Arabia for survival? What is in India’s interests: a dysfunctional nuclear state and colony of China or a state responsible to international community? A colony of China in North and West of India or a state that is responsible to global institutions of governance? If IMF and World Bank continue to give financial bailout with strict conditions of mentoring of utilisation of funds, Pakistan will remain accountable to international community. But if it is allowed to completely depend upon China and to some extent on Saudi Arabia, in that case Pakistan’s accountability to global community and institutions of global governance will be marginal. In the light of the above, IMF should extend economic bailout with a caveat of monitoring the utilisation of funds, putting a cap on military buildup and sealing of Pakistan’s nuclear arsenal. Pushing Pakistan into the fold of China will hasten up its economic colonisation by China. Such a situation will be detrimental to the security of India as well as the US. Thus, keeping Pakistan afloat is a compulsion to prevent it becoming a dysfunctional state. But international aid and bailout should be strictly for economic sustenance and not to siphon off the money for military buildup and repayment to the Chinese lenders. Brig Narender Kumar, an Infantry Officer, commanded a Rashtriya Rifles Battalion in J&K and Assam Rifle Sector in Manipur. 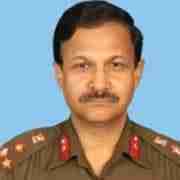 He is currently Distinguished Fellow at United Services Institution of India, New Delhi.